CINCINNATI – The largest Planet Fitness in the Midwest is now open in Oakley Station. Gym goers logged their first workouts at the new facility Wednesday, and officials will formally mark the occasion with a grand opening celebration Friday – just nine months after the $11 million project was announced earlier this year. 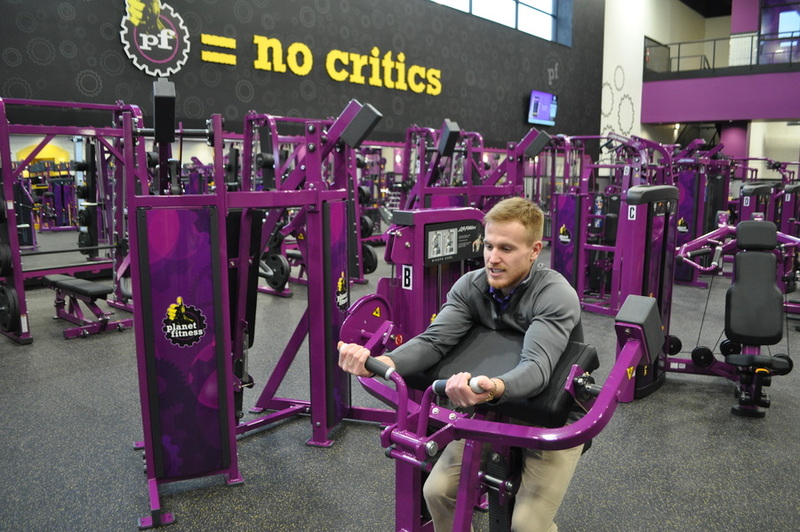 At 4503 Marburg Ave., near the intersection of Vandecar Way, the facility stands two stories tall and measures roughly 33,000 square feet, said Mike Hamilton, chief operating officer for Planet Fitness Midwest. That’s about 1,200 square feet more than its next largest gym in Florence, Kentucky, he said. And the location? It was among the most in demand. "We hear a lot from our current members, as well as other Cincinnati residents who aren't members, 'How come you guys aren't in Oakley?' This is by far the one location that everyone has been asking for," Hamilton said. "We've been trying to find a spot here for four or five years, and we're excited to open up." Planet Fitness, one of the country's largest and fastest-growing fitness chains, largely caters to the first-time gym user, Hamilton said. The target age range is 18-54, but its members are "13 to 90," he added. 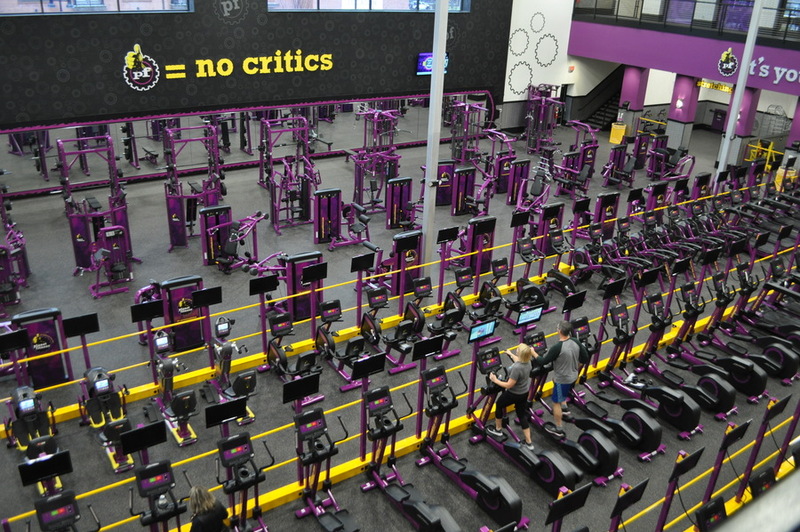 It offers 24/7 access, membership fees ranging from $10 to $21.99 a month and boasts a "judgment-free zone," a mantra inscribed throughout the gym's signature purple and yellow interior. Hamilton said presale memberships were strong, about 40 percent to 50 percent above projections. In February, Planet Fitness officials said they would invest $11 million in Oakley specifically, with more than $1 million dedicated to equipment. The Oakley club features 130 pieces for cardio, including ellipticals, treadmills, stair climbers, rowers and stationary bikes, split between the two levels. On the first floor, there are weight machines – two of each kind – free weights, a stretching station and a 30-minute express workout zone, backed by two fully equipped locker rooms. Upstairs, there's more cardio equipment, ab machines, TRX and more. 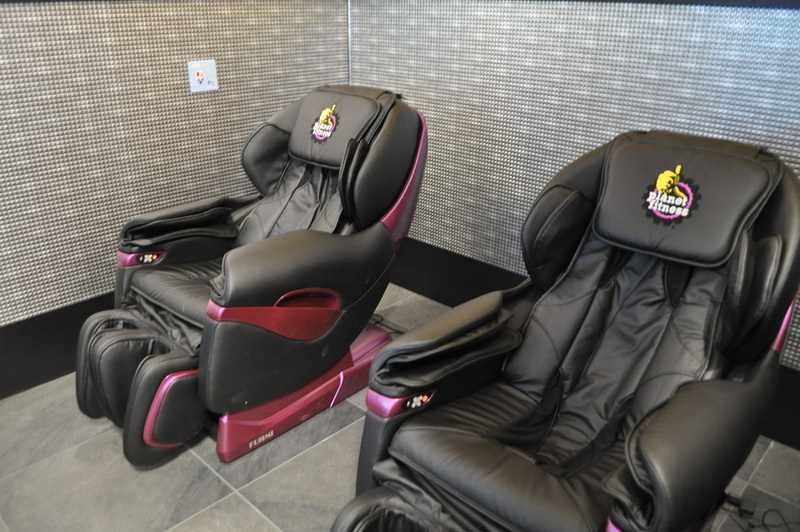 The facility also includes a Black Card spa for Black Card members, offering access to tanning beds, massage chairs and HydroMassage beds. Planet Fitness offers free fitness training and classes seven days a week. The Oakley location has two trainers on staff, which is unique, said training coordinator Drew Kearns. "It's a huge selling point," he said. "It can be intimidating (going to a gym). But it's not like that here whatsoever. It's laid-back, relaxing. If you've never joined a gym before, no biggie. Let us show you the ropes." The gym, located in the same development anchored by Kroger Marketplace and Cinemark, is one of several new builds at Oakley Station. More construction is ongoing, including a Planet Fitness competitor, Crunch Fitness. That gym, also known for its "no judgments" philosophy, is slated to open in late December at Ibsen and Ridge avenues, next to Crossroads Church. It will be the largest Crunch Fitness in the area, at around 34,000 square feet. Planet Fitness, meanwhile, owns the three outparcels adjacent to its facility – one of which will be occupied by Smoothie King. Hamilton said the franchise juice bar will open in January.